We decided to try a guided hike through this company and wondered if we were wasting our money since these are public trails. We definitely found the trip worth it Our guide, Brad, made the tour interesting and fun. He showed us unique parts of the bell rock and baldwin trail and was a great conversationalist. 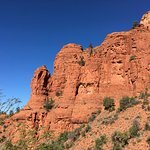 We plan to try the tea cup hike / jeep tour next and would encourage the company to consider opening this up to more trails. The devils arch hike / jeep combo is definitely one we would do if offered. Good job Brad!! We did the 2.5 hour vortex tour for sundown during the week. The guide was friendly, knowledgeable, and showed us a great time. 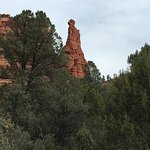 We were able to see areas of Sedona we had never thought to visit before and learned a lot about the vortex's, as well as the cultural significance of many of the landmarks to the tribes that called the region home. The tour was timed perfectly for sundown over Cathedral Rock, the jeep was easy to access, they provided a step stool to assist and there was plenty of room in the back, for a tall person like me this was a plus as I did not feel crammed in at all. The tour took place mostly on surface streets there was little to no off road driving so if you're looking for thrills you may want to select another of their tour options. 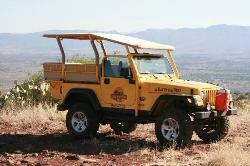 The tour itself was affordable and offered a great value for our money compared to other companies in the area. 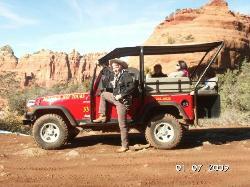 We thoroughly enjoyed every minute of our jeep tour off road through Sedona. Our guide, Robert, was the best. He was so knowledgeable about the area, the geology, the Native American history, the vortexes, and everything in between. 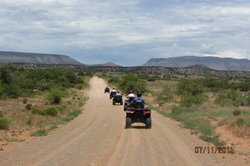 The kids loved the excitement of the off road adventure too. 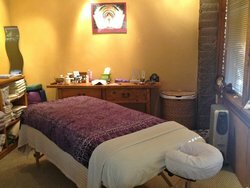 We highly recommend taking a tour with Earth Wisdom- you will have an experience to remember! 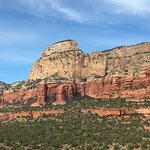 We enjoyed our Sedona Vortex tour. Our guide was very nice and a kind person. We got a little rain but still had a nice time. 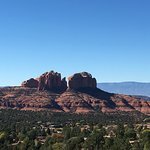 Great views and very cool medicine wheel tour. Our tour with Dominick was amazing. 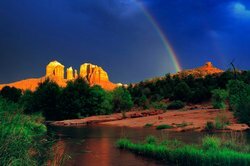 He is passionate and knowledgeable about the area, geologically and spiritually. He took us around several areas but gave us suggestions on other places to visit on our own. He was also able to explain the concept of the vortexes and why the area just feels so different. My sister and I were lucky to have him as our guide as we felt an instant connection with him. And he had come in on his day off to cover for a colleague. Total serendipity! Cynthia was great in the customer service office as well. She was quick to direct us to other businesses we might find interesting and affordable. We felt treated as friends, not wallets. Will use them again!